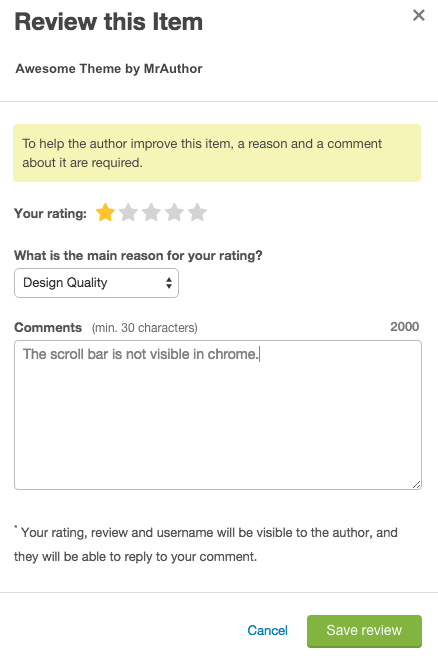 To do that you can navigate to your Reviews tab on the applicable item. 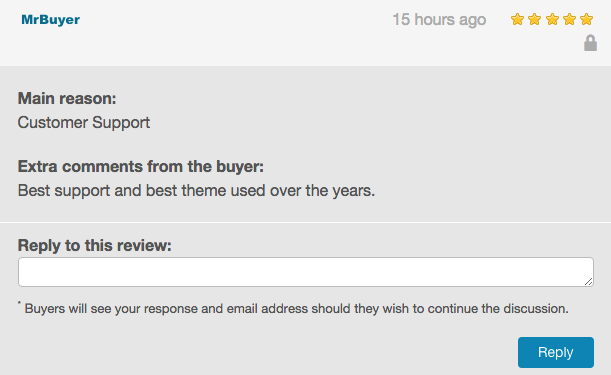 Once you've located the rating that you'd like to respond to, you'll see an option that says Reply to this review. Once you've typed your response hit Reply. Note: This will start an email conversation with the customer so you can expect a reply in your inbox rather than on the Ratings page. From the customer's perspective, they will be advised at the time of leaving the Review that their details will be disclosed to you and that you may want to get in touch to discuss the rating.